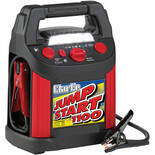 Machine Mart offers a range of jump starts for starting engines in the case of battery failure. 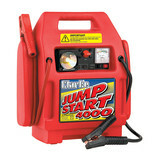 We offer a heavy duty jump start which can be used for starting larger vehicles such as campervans. 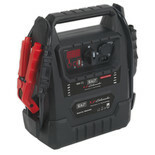 We also supply compact and more portable models suitable for smaller engines. 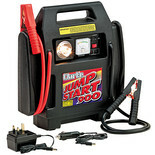 A jump start can also be used to re-charge mobile phones and other electronic equipment, or even for inflating tyres, air beds etc. 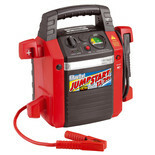 As well as jump starts, Machine Mart provides an extensive choice of equipment and tools fit for DIY enthusiasts through to qualified tradesmen. We supply tools from all the top brands such as Ryobi, Bosch, Dewalt and Clarke. You can buy online now, order by phone, or visit any of our superstores across the country. 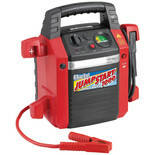 We provide a wide selection of tools at extremely competitive prices.